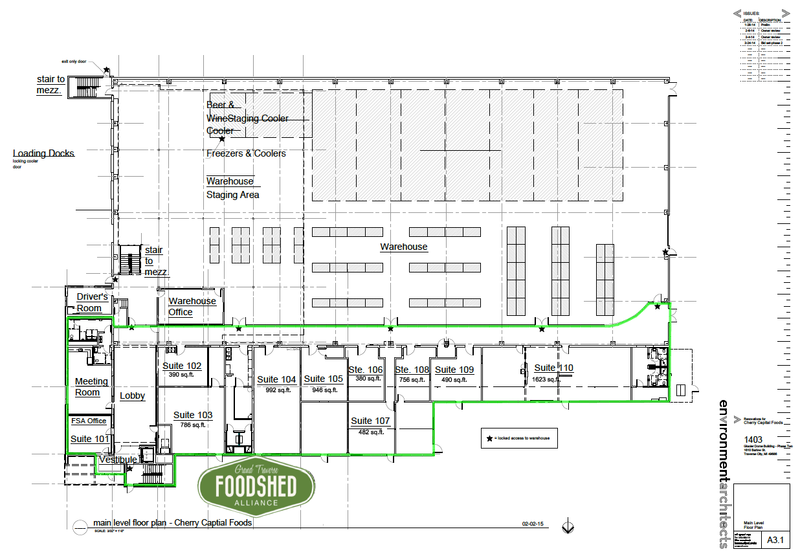 The Grand Traverse Foodshed Alliance operates a unique food infrastructure facility in Traverse City containing more than 12,000 square feet of move-in ready manufacturing space called the Grand Traverse Food Innovation Hub. The GTFIH offers ten spaces for lease to food-related businesses. All suites feature private exterior access, windows, and access to the interior hallway adjacent to Cherry Capital Foods’ secure warehouse facility. Leasing space at the GTFIH provides your food business with a strong community of like-minded entrepreneurs working alongside you. The GTFIH is also host to workshops, counseling services, and mentoring. There is an application process and space is available on a first-come/first-served basis. For more information visit our GTFIH leasing page.